Whether you’re looking for a small gift to give your sysadmin at the office party, or a larger gift for the sysadmin who happens to be your loved one, we’ve got you covered with this year’s list of the top 24 gadgets for sysadmins. Let’s take a look at what should make every sysadmin smile. With the recent stories about the threats posed by USB devices and talk of rogue charging stations and how dangerous it is to just plug your device into a strange port, practicing safe charging is a must. Go for a USB charging cable or dongle that only connect the power leads, so that no data can cross the cable. Some even ‘fool’ your laptop or desktop’s USB chipset into providing maximum power to help quickly charge larger devices. Quieter than Velcro, easier to reuse than a zip tie, and available in a variety of colors and lengths, reusable twist ties make it easy to bundle up cables and quickly pull out the ones you need. Black matches everything, but consider a variety of brighter colors to make things easier to spot. You can never have enough bandwidth, enough caffeine, or enough thumb drives. They are the perfect stocking stuffer for everyone. Look for the fun ones shaped like the Minions from Despicable Me, or the Looney Toons characters if you really want to go for something memorable while still very affordable. If you go with more mainstream ones, stick with the ones that have integrated caps, since removable ones will probably be lost by New Year’s Day. If your sysadmin is also a road warrior, get him or her a set of extendible cables. These include USB, HDMI and Ethernet cables that have a spring-loaded winder so you can fit several feet of cable into just a couple of inches of space. Everyone has had their phone die at some point or another, so a portable USB battery is the perfect gift for anyone – not just sysadmins. Look for the smaller ones that double as an LED flashlight so you get a true multitasker. Charge it up, throw it in the backpack or purse, and when your mobile and your phone battery goes caput, this little gift will just save the day! A small three outlet extension cord with a built-in USB charger is a lifesaver in hotels, airports, and conference rooms. They are small enough to fit in the pocket of a backpack, yet useful enough to save the day every day. Small, collapsible laptop stands that position your laptop at an angle are great both for ergonomics and for the seat tray on an airplane. These can really make the difference between being able to type while in economy or not, and can collapse into a small bundle that will fit into even the smallest laptop bag. Any good sysadmin (or geek) will tell you a multi-tool is worth its weight in gold. But anyone who flies knows it is next to impossible to bring one along with you unless you check your bag, and who wants to do that when some airlines charge the bag’s weight in gold? There’s a growing selection of multi-tools from several vendors that include either removable blades or completely bladeless options so that you can carry that handy-dandy tool with you, and not look like a security threat. Don’t let the terrorists win! Home family rooms, hotel rooms, and conference rooms all have big screens with HDMI ports. 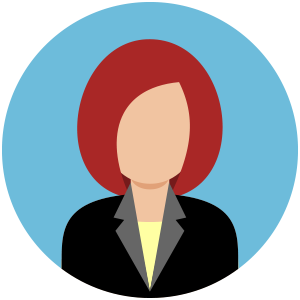 More and more laptops and tables are coming with Miracast capabilities. Hooking your sysadmin up with a Miracast adapter means that whether they are presenting in the boardroom, or kicking back with a movie after hours, they can project on the big screen without being tied down to a cable. These are small and portable so they can go wherever needed. It’s cold outside, but that won’t stop your sysadmin from trying to answer their phone, check email, or send a text. Keep their hands warm and functional with a pair of smartphone compatible gloves, that provide warmth while still enabling you to use touchscreen devices without having to pull the gloves off. Whether it’s an Amazon Fire, a Roku, a Google Chromecast, or one of the growing selection of Android devices, a media stick is a great, simple and awesome way to get Hulu, Netflix, Amazon Prime, and dozens of other streaming entertainment choices to your television or monitor with HDMI. While they are mostly intended for home use, you can set yours to Mi-Fi’s SSID, for example, and get Netflix on the road without tying up your laptop. So long as you have an unlimited bandwidth plan. Completely fun, and completely cool, these grownup toys can teach the basics of robotics and programming, so they’ve got a dual purpose: fun and educational! Drones are actually earlier in this list than you might expect, because there are some entry level models that come with Wi-Fi enabled cameras that can be found online for under $50 US. A beginner pilot probably wants to start out with something that is wrapped in a cage, or an impact resistant ball, before they work up to one of the more expensive models, but no matter which model you choose, being able to fly around and shoot photos or videos is a really fun way to play, and an even cooler way to capture events. There are Bluetooth headphones to fit any budget and any activity level, from noise cancelling models for airplane flights to waterproof models that let you listen to tunes while you’re swimming. The only thing better than Bluetooth headphones are Bluetooth speakers so you can share the entertainment with others. Small portable versions are good for travel, but the larger versions offer much more volume and bass. GoPro cameras are at the upper range in terms of cost, but Polaroid has a pretty cool little model for under $100 US, and there are lots of others coming onto the market. For the ultimate in panoramic views without the need for a drone, check out the Panono! Unless you have TSA PreCheck, going through the security lines at the airport can be a real drag. The worst part is having to pull out your laptop and hope it survives the X-ray machine unscathed. There are several models of laptop backpacks on the market that unzip and fold flat, so you can keep your laptop protected and still get through security. Most sysadmins have at least two monitors; many have more. So when they go on the road, having to work from a single screen can cause some serious pixel withdrawal to kick in. USB portable monitors are a great way to keep the multi-tasking productivity high when on the road. What’s better than widescreen? Ultra widescreen, and there’s a growing number of vendors with monitors in the 21:9 form factor, which is about the same amount of screen estate as two 4:3s without the bezels in between. Network attached storage devices have been around for a while, but the latest flavor being marketed as ‘cloud’ storage include streaming capability to DLNA and UPnP devices and some even offer remote access over the Internet. It’s not quite what NIST had in mind, but we’ll take it! There are some lower priced health bands, but the really good ones start to break into the upper price ranges so they are way down this list. All can measure physical activity with a pedometer, but some can do so much more, and include things like heartbeat monitors, smartphone integration, and even UV meters. They can really help motivate sysadmins to get more exercise. The next step up from the health band is the smart watch. Not only will it help track activity, but it can display texts and emails from your cellular phone, and let you control other apps or display feeds from weather, stocks, and more. Be aware, however, that they are not waterproof. Come on manufacturers, do you really want to lose out on the marketplace of swimmers, surfers, kayakers, and paddle boarders? The Internet of Things is here, and the first real contender for ubiquity is the smart thermostat. These things are crazy hard to program through the console, but the ones that can get on your Wi-Fi network and be programmed through a web browser make energy efficiency and comfort easy to attain. For the ultimate PC rig, computer not included, check out the Emperor 1510. It looks like it comes from the future or belongs on the set of a science fiction show, but once you see it, you will understand why it takes the top spot on our list and is the ultimate present for the very special sysadmin on your list. Monitors, computer, and sound system not included! 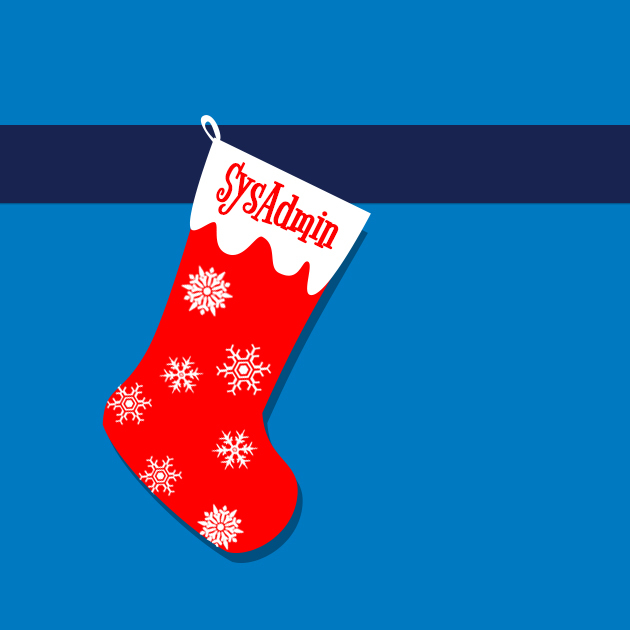 With something to fit almost anyone’s budget, we hope this list will help you make the holidays a little more special for your favorite sysadmin. There are lots of other cool gadgets and gizmos out there. If you think we missed something, leave a comment and let us know what you think would be perfect as a gift.